Sand Hills Golf Club, 16th hole. (2) Drive about two and a half miles down a winding road, free from power lines or really much of anything, veer straight/left past Crenshaw Drive. I convinced my wife I had to go because my new client invited me. Turned out he checked himself into the hospital the night before the trip with chest pains. 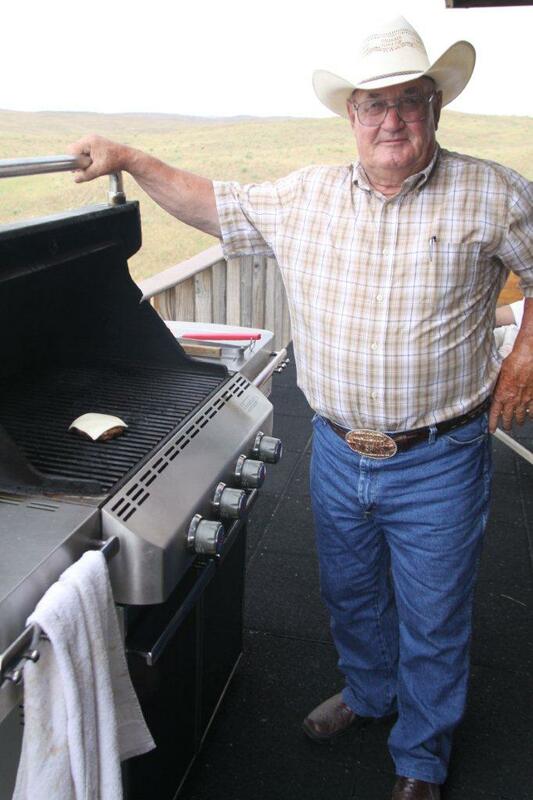 He’s fine—a little blood-pressure issue—but he never made it to Sand Hills. I played with ten guys I had never met and hardly know a thing about (besides their home courses: Castle Pines, Robert Trent Jones Golf Club, etc.) and had a fantastic time. Dan Daly, the chef at the halfway house, preparing the staple meal of my own Sunday Morning Group. This entry was posted in Buddies Trips, Golf Courses, Sunday Morning Group and tagged Ben Crenshaw, Sand Hills by David Owen. Bookmark the permalink. There was a very good documentary on golf course architecture that aired on PBS recently. It covered the growth of design and architecture from early layouts through today. There was a portion devoted to design’s return natural layouts. Sand Hills was profiled and looked fantastic. 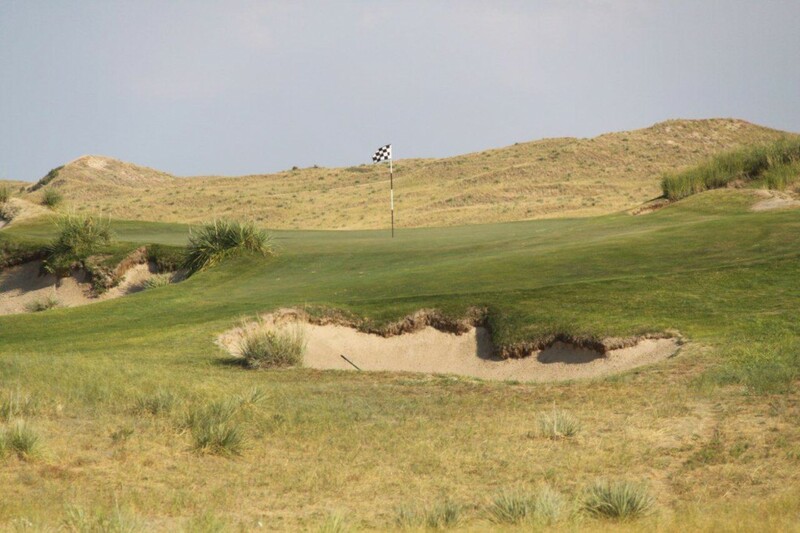 I have played both Sand Hills and Dismal River Club. The course at Sand Hills blows away Dismal River (but wait until the new Doak course is finished – it will be amazing!). 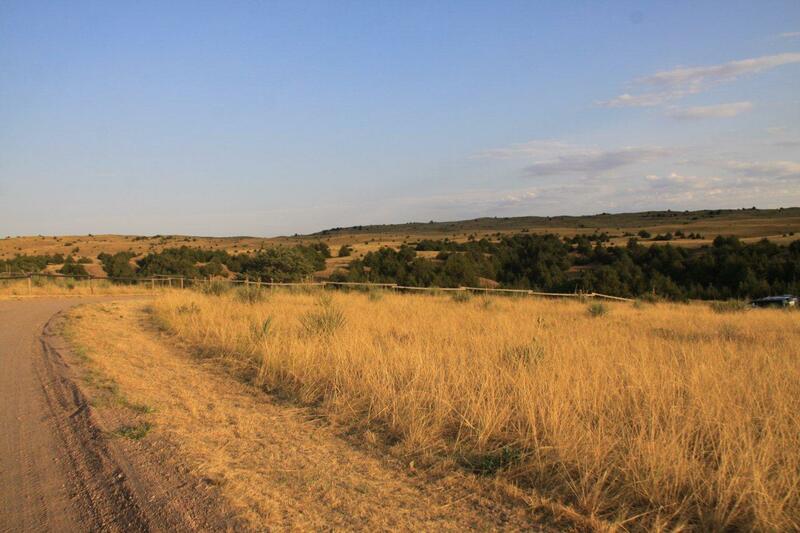 However, the amenities at Dismal River are 5 star resort, compared to sorely lacking at Sand Hills. 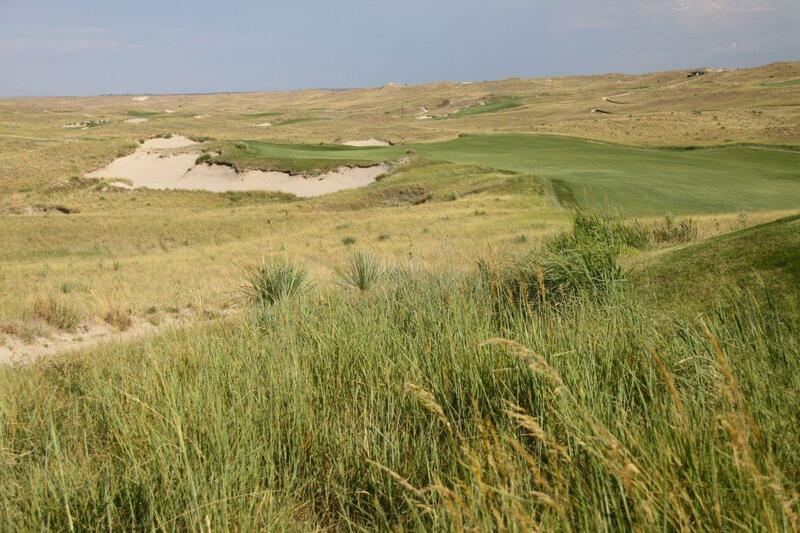 The golf was better at Sand Hills, but the experience was better at Dismal. I was wondering if others had the same experience I had playing Sand Hills… I played 4 rounds in 3 days. It was late in the season so no caddies, just carts. The more I played it the less I enjoyed it. In particular, two things really made the rounds less and less enjoyable: blind approach shots to many of the greens and raking the enormous sand traps. When I say blind approach shots I mean that I can see the flag but not the green surface so I have no idea where my shot ends up until I get back in the cart and drive around to the the back of the green. To me, that is not enjoyable. I like to see the results (good or bad) of my efforts, especially if the shot is executed as I intended. Maybe I just wasn’t playing well but it seemed like there are several blind approach shots on both nines, obviously depending on where the drive or 2nd shot on par-5’s ended up. And as beautiful as the bunkers are, do they have to be so huge and have such steep walls? I maybe hit 5 fairway bunkers on one round and must have spent 20 minutes just raking my footprints!! Then to find out that what I thought was a good shot out of that fairway bunker, landed in the middle of the green and rolled off the back, down the cart path into a patch of knee high prairie grass (beautiful!, but not fun to hit a delicate pitch back to the green). Thought the course was amazing and overall had a great time but I kind of feel like I’ve “been there, done that” and don’t have a real desire to do it again any time soon. I found Sand Hills to be much more suited for the mid to low single digit handicapper, or better, than a double digit player. In addition to the bunkers being very large (and numerous), and a nuisance to rake, the greens are exceptionally fast. I’m going to unofficially call the green speed 13+. One would be hard pressed to find faster putting surfaces many other places, anywhere. Obviously, greens this speed are very difficult for the higher handicapper to hold and putt effectively. And it starts quickly, I’ve seen a handful of guys putt off of #1 green down the fairway 20+ yards. Doesn’t set the best tone. One other criticism might be that the golf course may be a little bit too quiet, maybe to the point of boring, if that’s possible. You may or may not see another golf group on the course the entire day, and whereas one might think that’s a great thing, at Sand Hills, with a 20mph wind blowing, in the middle of vast nothingness, it’s almost a little lonely. Along the same lines, many of the holes have a similar look and playability. After say, 6 hours, I might be thinking I need a little more variety. Or liveliness. I think I had the opposite experience. The more I played it, the more I liked it and the better I played. I’d make the trip back whenever/if ever I get a return invitation!